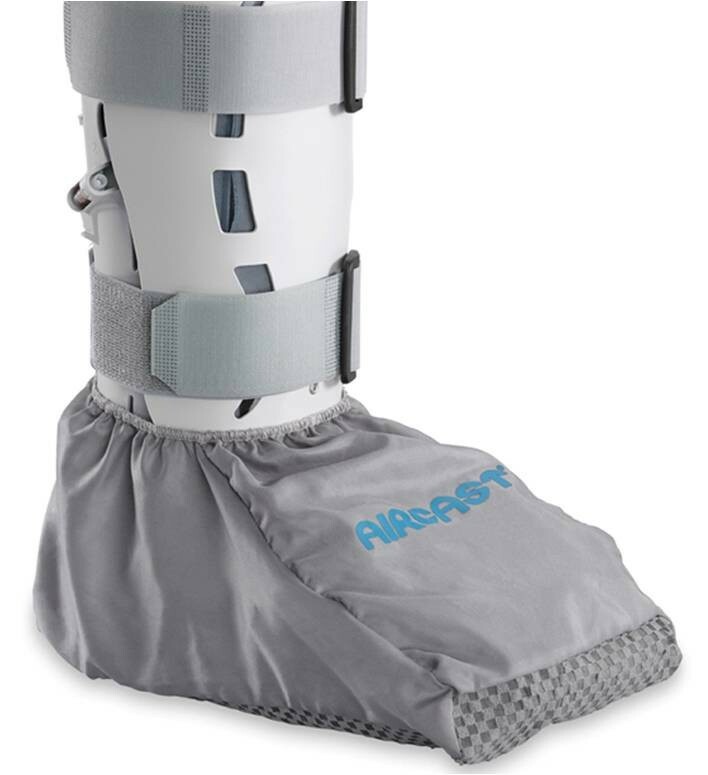 The Aircast Walking Brace Hygiene Cover is an easy-to-apply cover used to provide a hygienic environment by preventing the spread of dirt, dust and germs brought in on a patients' Walking Brace. Available in Ped/Small, Medium/Large and XLarge. Hi, My shoe size is 6. Should I order size small or M/L? You would order according to the size of your Aircast Walking Brace. I have a men's large air cast Do I order a Xl or the M/L ? I probably could use this cover outside to try and keep the brace clean but am feeling from all the other Q's and A's above that it probably wouldn't last as long correct? To bad you don't make an outdoor cover for those of us that have wives with an acute sense of cleanliness in the house. Hi. My husband's XP Walker aircast is a mens size 10-13. Would he be an XL in the cover? The cover is made to cover the boot if he has a large boot, you would go with a large cover. Is this meant to be worn outside (to keep the walker clean) or inside? How long does the cover last? I need something to protect my boot at work for four weeks since I am working in healthcare. How protective is it in the rain or snow? I need something that can get very wet but keep my boot dry. Thank you for your question.This product is made out of nylon. It is water resistant but not necessarily water proof. I need a new tong,,,top plastic part,,,mine is cracking and breaking at the ankle area. Do you sell this piece ? Below you will find the links to the replaceable parts online. Please call Product Support if you need the Plastic Shell. 1-888-405-3251. The Hygiene Cover is made out of a nylon material. What kind of material is the bottom of the hygiene cover made of and is it slip resistant on wet or greasy surfaces? It does have tread on it to reduce slippage. You would fall into a medium size. Great product, just wears down after couple weeks. Had to put duck tape on holes in cover. Want to get another but only plan on having boot for another couple weeks. Have to make it last.